Early mid-century (late 1940s) Colclough 6593 hand-decorated tea set. Pink, yellow, lilac florals, pops of greenery, gold edge accents. 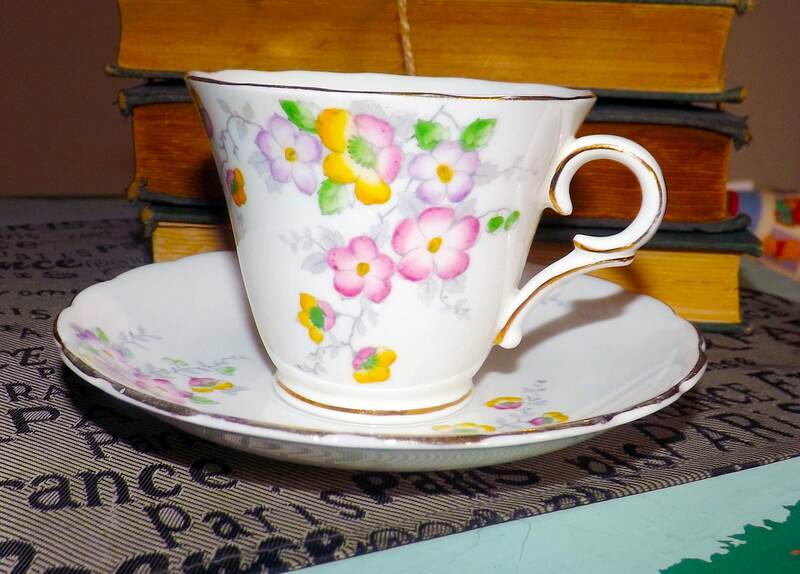 Early mid-century (late 1940s) Colclough 6593 hand-decorated tea set. Pink, yellow, lilac florals, pops of greenery, gold edge + accents. 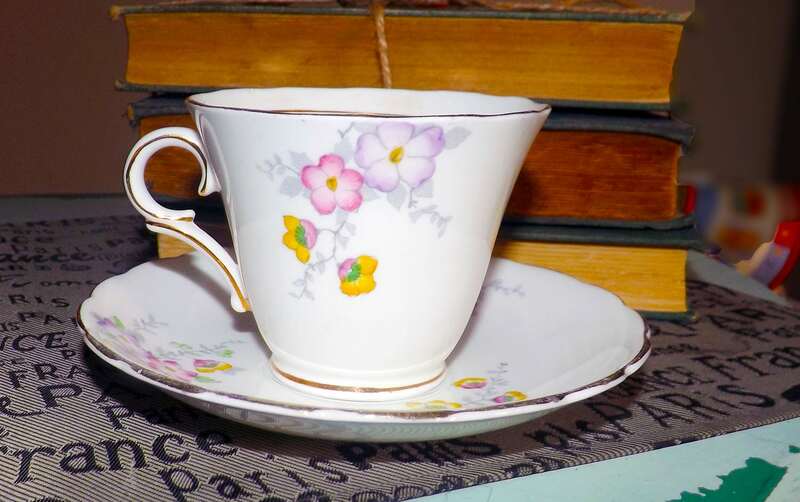 Early mid-century (late 1940s) Colclough pattern 593 tea set (flat cup with saucer). 6593 is an art-nouveau inspired pattern with sprays of pink, yellow and lilac florals, pops of hand-painted greenery and a scalloped, gold edge and gold accents. 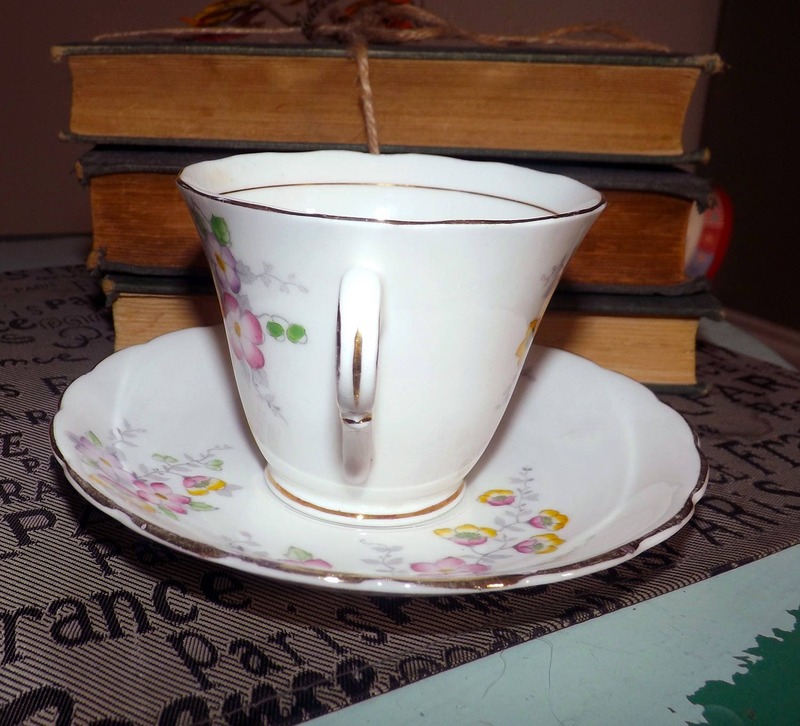 The cup has a distinctively art-nouveau triangular shape. This cup and saucer are in EXCELLENT! condition with NO! chips, nicks, cracks or fleabites, NO! crazing, LITTLE TO NO! loss to the scalloped, gold edge or accents and NO! marks, stains, scratches or other signs of use or wear. The pink, lilac and yellow flowers are bright and vivid with NO! noted fading. Gold artist's brush mark to base as well as decorator's mark in green. 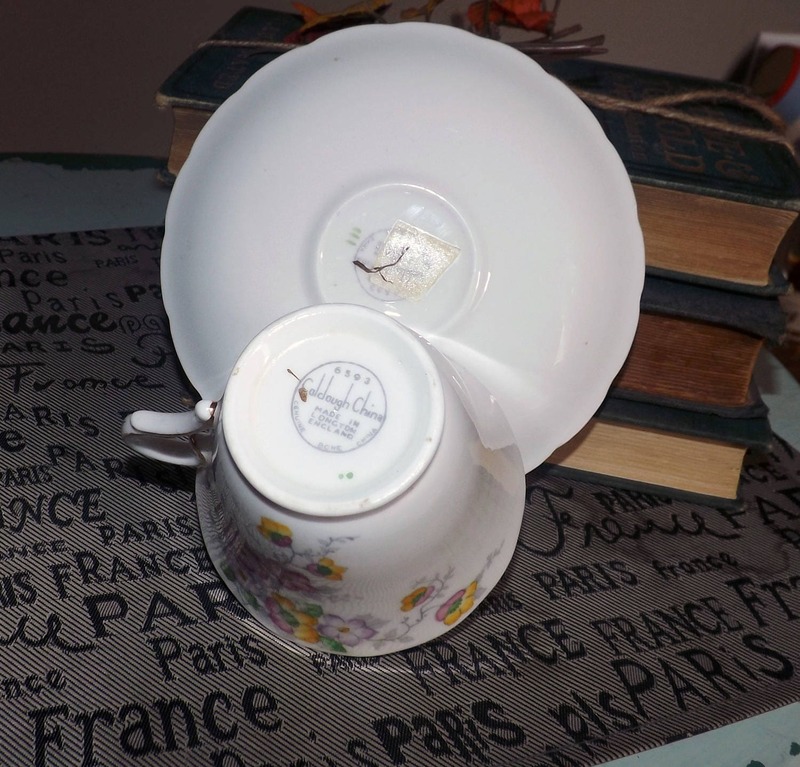 There is a spot of tape residue to the base of the saucer (please refer specifically to photo 5) where it appears the tea cup was once attached to it for display. 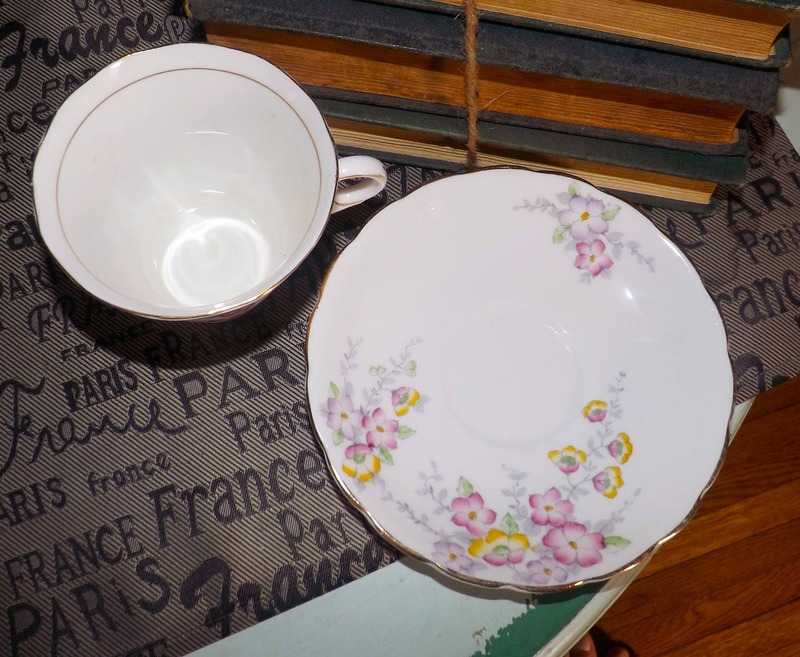 Approximate measurements: flat cup stands 3-1/2" with a 4" diameter bowl and a triangular | tapered shape | matching saucer is 6-1/4" in diameter. Both pieces have a scalloped, gold edge.